Every vlogger wonders how to get more views on when they are just getting started on YouTube. It doesn’t always come easy, but for some people, a big online audience can literally change their life. After all, who doesn’t want to be the next PewDiePie or Jenna Marbles and make millions of dollars and fans by speaking to a camera from their home, or creating top 10 videos? Becoming a YouTuber in 2018 can be tough, and standing out can be even tougher. This guide will show anyone how to get views on YouTube today with these 68 easy hacks. Read the article for all the details, or check out the infographic. Part 4 – See The Full Infographic! If you want viewers to subscribe to your channel and come back for more later, then they need to know what they are getting themselves into. While there are endless YouTube channels out there, so it is important that you have an identity, especially if you want to start a vlog. Whether that means talking about beauty, travel, sports, gaming, or anything that comes up in your life, make it very clear to the audience so that you get subscribers who stick around. You can check this up-to-date list of some of the most popular YouTube niches for inspiration. First of all, make sure that YOU are passionate about everything you are saying and doing on your YouTube channel. If you don’t then none of the rest of the list will matter, and you won’t have any fun! Your video’s thumbnail is the first thing people see so make it count! Boring, or grainy images are going to look weak beside other YouTubers who are competing for the same viewers so take a few minutes to make a great thumbnail and you will see the difference. We use Snappa, a hugely popular tool for images like thumbnails, banners etc. Definitely recommend checking out the free trial. 1. Use closeups of your face: Humans like eye contact and this will catch their attention in search results! 2. Convey strong emotion: Strong emotion on your face can set the tone for the video and prime the audience for what is in store. 3. Use bright backgrounds: It’s all about being eye catching in a sea of YouTube results all over the screen. Bright screens get people’s attention, and also tend to create stark contrast with your main image. YouTube viewers subscribe to channels that are clearly active and posting new videos all the time. If you are stingy with your posts, then there is no reason for them to follow you. If you are going to stay active, then you are going to need to use tools that will save you time. The fist one you should check out is TubeBuddy. This has a ton of features that will save you time and help be discovered more often in YouTube search results. The images that you use on your channel can influence viewers to hit that ‘subscribe’ button. Like we mentioned before, tools like Snappa make this super easy and create awesome images that are automatically formatted to the right size depending on what you need. Your channel page is the home base for anyone looking at your body of work. First and foremost, make sure it looks pretty with the logo, banner, and thumbnail tips above. Now that you look like a pro, you should remember that some people might actually read (yes read!) your channel description. Use this opportunity to tell your story, and let your personality shine through. This is an area where you can show off the benefits of subscribing to your channel, and use a call to action to try and get their sub while you have their attention. You can (and should) also organize your content with playlists. This will let any potential YouTube subscribers find the content that is most interesting to them quickly. If you are putting yourself out there on YouTube, and you want to build an army of subscribers, it helps to be accessible. Who knows what opportunities might come up – a fellow YouTuber might want to connect, or a fan might want interview you on their blog. You might even find a sponsor for your videos. One thing is for sure is that if you make yourself hard to get a hold of, it is a lot less likely that golden opportunities will fall into your lap. What do the Tonight Show, Jeopardy, and Bill Nye The Science guy all have in common? Audiences return again and again for DECADES because they like the reliable structure and familiar nature of their favorite shows. Think about how many clicks Jimmy Kimmel gets every time he posts a “Mean Tweets” video. If you can come up with a handful of structured segments that you can perfect, you are guaranteed to get more views. People want to see the next segment that they know they are going to love. Your channel logo may be small, but it can say a lot about you. Before creating images like logos and banners, you should make sure that you are making them the appropriate size. With so much YouTube competition, your subscribers need to know that they can rely on you for consistent content. How many videos will you produce each week? When will you publish them? Once you know these answers, your YouTube channel should run like clockwork for your subscribers. Try to hit ‘publish’ at the same time each day/ week. DON’T OVER COMMIT – If you get subscribers with the promise of daily videos, don’t be surprised if you lose them when you downgrade to weekly episodes instead. Along with the image, your video’s title will form a viewer’s first impression of whether or not you are worth a view. People tend to click titles that are intriguing or useful to them. Using exciting terms like “Amazing” “Hilarious or “Unbelievable” tend to get people’s attention. You should also think about driving urgency. Suggesting that watching your video will have an immediate benefit will get more views than static titles. Don’t give everything away in one long sentence. Keep your video titles relatively short, and leaving them wanting more. Try to keep titles below 50 characters to have the best chance of people clicking on your video. Many YouTubers actually forget about tags entirely. What a waste! Tags are a key factor in helping YouTube get your videos in front of the right people. They will inform the search algorithm when people are looking for content, and will also give new viewers an idea of what your videos and your channel are really about. You could spend time finding the best tags yourself, or use a tool like TubeBuddy to make it much easier. YouTube has built in excellent features to build in interactive moments during your video, as well as multiple calls to action at the very end. 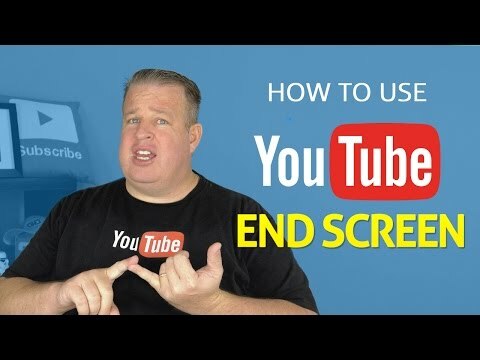 Here is a helpful video from Derral Eves about taking advantage of the End Screen of each video. Speaking of titles, you should think very carefully about the specific words you use in those titles. They will have a big impact on whether new viewers can find you in the first place. YouTube is the second biggest search engine in the world, and people everywhere are looking for answers and entertainment in that search box. Before anyone can subscribe to your channel, they need to find you first! That’s where keywords come in. Have a look at Brian Dean’s comprehensive article on keywords and YouTube SEO to learn how you can increase the number of people that find you. Using Google Trends is the best way to see what people are getting more and less interested in over time. When the pros think about how to get more views on YouTube, they know that it helps to be talking about things that more and more people actually want to see. You aren’t going to attract a big audience reviewing season 2 of The Adams Family in 2017.
Who doesn’t love a little suspense? If all of your videos are standalone pieces with no mention of a follow-up, then there is much less incentive to hit the sub button. However, if they want to know what happens next, then they are more likely to follow your channel long term. If you want to get YouTube subscribers, then don’t just make videos that you think will be fun. Pay attention to trends in your niche. For example, if you talk about TV shows, make sure you know what shows are rising in popularity and make content geared towards that rather than only shows that you think people SHOULD want to hear about. Whatever you need your viewers to do, don’t be afraid to ask! Many YouTubers miss out by forgetting to simply ask people to subscribe if they enjoyed the video. Channel trailers are an awesome way to establish what your channel is about, and why people should care. Just like a movie trailer is a fast moving clip that shows the best that a film has to offer and gets people excited for more, your channel trailer can be the difference between a viewer subscribing, or moving on to the next thing that catches their eye. First of all, if your title and thumbnail catches a viewer’s attention, the next thing they will check out is the description. If you don’t have a compelling reason for them to stick around, they won’t make it far in the video. Secondly, YouTube can’t listen to every word in your video, so it relies on descriptions for its search engine. This means that a good description can help you show up in search results for potential new subscribers. BufferBlog, Vlogging Guides, and communities like YTTalk can help you learn how to get more views on YouTube from fellow vloggers. From local meetups, to massive international events, there are many opportunities to attend YouTube related events. Use these opportunities to network with other content creators, and meet your fans! If you want more YouYube views, it helps to know what has worked in the past. Use successful videos as inspiration for similar content and build a reputation for viral videos that people love to watch. Ads can be a good thing to let you make money on YouTube and fund great content, but don’t go overboard. You get several options on what type of ads you are OK with permitting on your videos. While it might be tempting to go all out and try to maximize your earnings, keep your viewers in mind. You will get more views on YouTube if your subscribers think that you aren’t just in it for the money. If you do want to make money with your videos, just make sure you are honest about it. For example, if you are being paid to review a product, mention that in the video. It doesn’t mean you can’t give your genuine opinion! This doesn’t end with just money issues. You can gain a lot of trust by telling people what is going on behind the scenes and making them feel a part of your channels. Loyalty brings more YouTube views back to your channel then trying to outsmart the audience. Anybody can take a video with their smartphone and throw it up on YouTube, but almost nobody is going to want to subscribe to a YouTube channel with exclusively iPhone videos. You can find our guide here to choose the best camera for YouTube based on your needs. The good news is there are plenty of affordable cameras for vlogging and you don’t need to buy an expensive DSLR (and even those are getting cheaper). Have smart phones come a long way? For sure. Are they good enough for Instagram. Usually. But….People just don’t have the patience for second rate video that needs perfect lighting to look passable. Successful YouTubers have set the bar too high. Keeping a viewer’s attention is tough. Especially if it is just you talking to a camera! Jump cuts are quick edits that keep the video pace up and make it feel like you have jumped forward in time. Jump cuts are handy, but even the best editing is going to have a hard time cutting out all the ‘ums’ and ‘you knows’ that come from just winging it. If you want YouTube subscribers to trust you, then you need to know what you are talking about, even if it is just what you did that day. If a full script feels too intense, just write down the top 3 points you want to make, and use that as a guide. Going off the cuff can be great for authenticity, but don’t forget about practice and preparation to make your YouTube channel feel professional and worth your viewers time! Proper lighting isn’t just for big movie sets. YouTube viewers expect professional looking videos if they are going to subscribe to a new channel. A well lit video really stands out from amateur work on YouTube, and doesn’t take much time or money to buy a good lighting kit. First of all, make sure that you are not filming anywhere exposed to natural light. That is a no-no because you have no control and it changes all the time. Second of all, think about investing in proper lighting for your YouTube set. A typical kit will include 3 lights: two placed in front of you at a 45 degree angle, and one above or behind. You can get good sets for less than $200 and it will make a world of difference to your viewers. Most people tend to live in front of a screen, so it makes sense that some of your content might just happen on a screen as well. If you are going to be showing them how to use a software, or walking them through some digital process that use yourself, then you are going to want to show your subscribers what you are seeing. We haven’t used these ourselves but Screengrab (Firefox) and you can use the Windows snipping tool if you are a Microsoft fan. For live streaming there are many options with different pros and cons. Even with this Definitive Guide, and all the Google searches that you can muster, nothing quite beats taking a structured course. Udemy is a great resource to learn many useful skills, including all things YouTube and vlogging. This course is one of the most popular, though there are many great options. What’s better than getting one view? Getting two views. Or three… or four. Certian videos are helpful time and time again. Good examples are demonstrations how to do something complex, like how to build a table or a website. You could also share a daily ritual that you and your viewers can do together like yoga or meditation. 3-axis gimbals are the secret weapon of many serious video makers. They are a relatively new tool that replaces large expensive equipment used historically to create smooth video with a camera on the move. If you are a YouTuber who spends a lot of time out and about, or on the move, then a gimbal will give your videos a professional look that will warrant more subscribers. These aren’t just for people using DSLR cameras too. Today you can find plenty of great iPhone gimbals, or even stabilizers for your GoPro. Check out what a difference a good gimbal stabilizer can make when taking video on the move. As we’ve mentioned a few times, nobody as patience for anything these days! Rather than try to beat it with a 30 minute masterpiece, we suggest taking advantage and producing short, impactful content. The optimal video length is roughly 3 minutes long, though you don’t really start to lose people until the 5 minute mark. Unless you are already a YouTube start, you can probably dance naked at the 8 minute mark of your YouTube video and get away with nobody making it that far. You can see a detailed overview of optimized video lengths at this post. Many vloggers will spend a lot of their time speaking directly into their camera. Sounds simple right? As long as you have a decent tripod. If you have your camera on a table that is crotch level, or leaning against a shelf at a curiously tilted angle, then is going to show. It is a relatively cheap, and simple investment that serious vloggers are going to need to make. Flip screen cameras have a big advantage in the vlogging department. When you are speaking into a camera it is a big advantage to know what the camera is seeing so that you don’t waste good takes that look out of focus, or off center. No matter what camera you use, you are going to need to commit some TLC to editing your videos. There are are several to choose from. Some are free, but you usually get what you pay for. Pinnacle studios is a known favorite. Music is huge for vloggers! It can set the tone and hook a new viewer right away. Just don’t make the mistake of using copyright materials (like music you bought on iTunes) that you shouldn’t be. A great place to start is channels like NoCopyightSounds which offers up free music by promoting up and coming artists. Drones have become very popular in the last couple of years and it is easy to see why. Drones are capable of capturing amazing videos from high above any location, and the footage can be stunning. 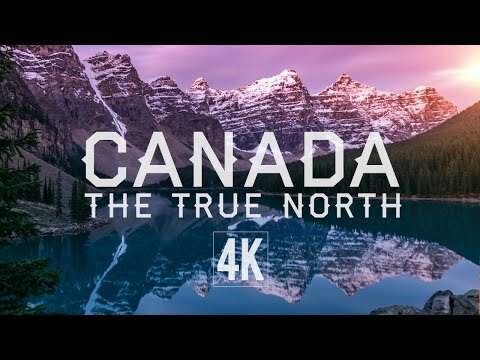 If you are a travel vlogger you need a good action camera, and a drone. For everyone else, drones are just a great way to make cool stuff. Though historically expensive, some affordable high end camera drones are starting the market. I mean come on… this is awesome. The longer someone views your video, the more likely they are to subscribe, right? Well, if you give your viewers a reason to stay by telling them what is coming up later in the video, your view time will take a noticeable jump! Putting effort into your video’s sound and investing in the best microphone for your YouTube channel will pay-off almost as much as upgrading your camera. Fortunately there are audio options like good affordable lavalier mics that won’t make a big dent in your budget. If you are vlogging in different locations and on the move, you also have the option to invest in a shotgun microphone which will be a significant improvement to most built in mics. The YouTube creator academy is an excellent place to learn the fundamentals of good video making for absolutely free! It is hard to succeed in anything online today if you rely on only one medium. If everything you do is run through your YouTube channel, then there are some limitations to just how much promotion you can do (and how much money you can make). Most successful YouTubers have a complimentary website that is all about them. It is great for promoting everything that is going on with you, and for building stronger relationships with your fans. If you are looking for something quick and easy to set up, we recommend Wix. You would be surprised how often viewers scroll down to the comments below a video to see what other people are thinking. Find similar videos in your niche and leave an insightful comment that will compel YouTube users to check out your profile. For best results DO NOT spam your video link everywhere you go. Be selective and find relevant conversations to add your video. There are several places around the internet where people discuss everything under the sun. Find those forums and identify natural opportunities to mention your videos and drop a link. A quick Google search will help you find the right communities, and Reddit is a good place to start for most subject matter. Again, try not to spam. Be a contributing member of the community to build credibility and keep from getting banned If you have a video about baking, make sure that other forum members are also talking about baking. Podcasting is a very popular medium, and goes hand in hand with YouTube. Creating a podcast is another channel for subscribers to follow you, and new fans to discover you. If you create vlogs that are primarily based on conversation and spoken word, then you can keep it as simple as converting your video audio into your podcast and publishing on appropriate channels. While most ideas on this list are totally free, there are some legitimate paid options out there that can help you get discovered and get more views. Bloggers are always looking for good content, and videos tend to help them in a lot of ways. If you can find popular bloggers who are writing about the content that you are making videos on, then there could be a great opportunity for a win win. Reach out with something insightful to say and mention that you have related videos that you would be happy to post a guest blogger. This can just mean with a short written intro and your video plugged straight in for more views. Pinterest recently added video features and should not be forgotten when you are promoting your videos. Pinterest claims to have 150+ million users and is among the dominant social media networks today. That is great access to a massive audience for a couple of clicks to share each of your videos! Google+ didn’t take off the way that Google hoped, but it is still home to some vibrant interest communities. Make sure that you build a profile and regularly post your video content. But don’t forget it. Twitter still has a massive audience and is built to make content easily sharable. If are ever going to go viral, Twitter will probably have something to do with it. For one, you will learn from eachother which will make for better videos. You can also learn what is working to get other people views on YouTube. Secondly, it gives you a chance to build relationships and maybe even help eachother out. You can offer cross promotion, give them a shout out, or even promote them asa featured channel on your own channel. Showing up on someone else’s channel is huge! It gives you access to potentially a brand new audience and gives them the opportunity to get to know you. If you get in on some good content and you are on your A game, then several people will go and see what your about, driving up your views along the way. Guest vlogging needs to be a two way street. If you bring in friendly YouTubers to join you in your videos, then you will have twice the promotion power. If your guest does a good job promoting the video on their own social profiles, you will get many new views from their regular audience. This should be first and foremost for any vlogger getting started. Be willing to ask for help and get those early likes and shares. This can start a snowball effect (in a good way) with more and more viewers liking what they see, and continuing the like & share trend. Facebook is a giant of the internet where many of us discover new content and creators. The best way to take advantage is to create a Facebook group with your fans. This is a free, easy way to promote videos to loyal fans for consistent views. But even more than that, a Facebook group can be a VIP area for you and your fans to interact. Nothing drives loyalty like the feeling that you are a contributor, and valued member of a community. It isn’t just digital connections that matter when it comes to YouTube views. Think about who you know in your family or social circles who might have resources to help you. This might mean a great lead on a high exposure website to feature your video, or maybe access to cool locations or equipment that will translate into awesome videos that anyone would want to watch. Ever wonder how to get more views on YouTube using Instagram? Even though it has a limitation on video length (59 seconds), there is no doubt that your audience is there. Most people check Instagram more often than YouTube, so use it to your advantage to keep in touch with fans and preview new content. The use of hashtags on Instagram is also a huge way to be discovered by new viewers looking for your content. You use a contest as an incentive for all sorts of actions on YouTube: specifically, you can get more views, likes, and social shares. All of these add up to more future views, so if you have something compelling to offer, promote it to your viewers and reap the benefits. If you don’t want to spend money on an expensive prize, you can still offer up a shout out, some cross promotion, exclusive access to you or the ability to make an important decision about your channel (ex. the next video you make). Don’t assume that just awesome content is enough for people to post it on their wall/ feed. A call to action will always increase shares which are critical to getting new viewers on YouTube. Many people will watch one video and then move on. Some of those people will leave comments. Don’t miss the opportunity to engage with those people and remind them of your super cool video that they watched recently. It greatly improves the chances that they will come back for more. Not all influential people online have a strong YouTube presence. If you can find a way to put the spotlight on industry experts and influencers, then your audience is going to be interested to watch. Not only that, but similar to featuring YouTube guests, Influncers tend to carry a large audience and are likely to help promote the video. Tumblr is a relatively new kid on the block, but it is a great place to contribute to micro-communities. It allows for posting all types of media, so anything you produce on your YouTube channel, Instagram page, or blog can make good content here. Classic PR can be effective in YouTube promotion as well. If you have well produced videos about a hot topic in the news, then media publications or giant blogs like BuzzFeed will potentially feature you – leading to a TON of views on YouTube. There was a time when StumbleUpon drove more traffic than even the mighty Facebook. Take the time to build a complete profile page and share your videos/ channel as part of your promotion strategy. So there you have it! 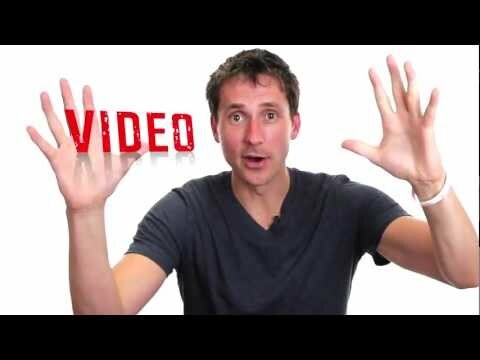 A huge list of hacks to get more YouTube videos today. Which ones will you start with? What ideas did we miss? Easily the best of these I’ve seen in the last two months of developing my Youtube channel!